Eracent is pleased to announce the release of IT Management Center™ (ITMC) version 10.2.13. This version enhances and streamlines Eracent’s Software Asset Management (SAM) functionality and also expands functionality that directly contributes to endpoint and network security. Version 10.2.13 introduces a more dynamic approach to license consumption modeling. It is now possible to model different measurements for any discovered application, independent of procurement data. This function is particularly valuable for data center applications, as it helps to determine the optimal license type to utilize. License consumption may be displayed by metric (e.g., machine, logical or physical processor, Sub-Capacity, Named User, Core Factor, V cluster processor or V cluster cores) or by group (e.g., locations, business units or cost centers). This flexible modeling engine enables users to see if a more attractive license model may apply for existing environments. A new method of license allocation has been introduced to ensure that users can more easily allocate licenses [and entitlements] to an installation of that software application. With this new approach, users can view a list of all machines on which a specific application has been discovered. Then they can see which installations do not yet have a license allocated or which have already been allocated to a different license for that product. Allocations of licenses to discovered installations may then be made directly against the discovered installation data, all within the same screen. This eliminates several manual steps that were required previously. An at-a-glance banner with color coded dashboards quickly shows licenses that may have a problem, such as no proof-of-purchase, an over allocation situation, etc. This version introduces a streamlined approach to performing PVU mappings for IBM software titles that utilize that metric. Users can now filter to see a list of discovered machines that have applicable IBM software titles installed on them, and they can perform PVU mappings on this focused group of machines. 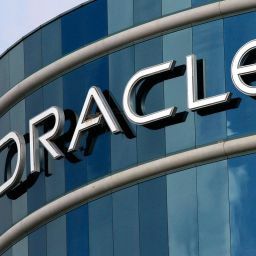 The algorithm for Estimated Consumed Quantity in License Allocations for Per Core and Oracle Processor licenses has been updated to meet current requirements. The consumption is now calculated based on CPU Cores rather than virtual processors. License Consumption reports now support aggregations on a product level, and version-level aggregations are displayed below the product level. Product level aggregations will be shown even if a product does not match a filter, as long as one of its versions matches. Sorting can be done at the product level. Documents of any type may now be uploaded and attached to Requests before they are submitted. A new page called “Reassign Action Items” enables authorized users to assign pending Action Items to a different person to expedite process workflow. Machine Reports now include an “ODBC Drivers” tab to report on detected drivers. A “Bus Types” table has also been added to the Hardware Devices tab on Machine Reports. A new Eracent Data Extractor (EDE) has been added to interface with the Lansweeper database and aggregate inventory data into the ITMC Discovery database for consolidated reporting and other purposes. New columns showing “CPU Active Cores Max” and “CPU Active Cores Min” have been added to the Server Utilization Query. New dashboards have been added to provide at-a-glance information about cloud infrastructure utilization metrics. Newly introduced File Load Watcher functionality allows users to whitelist and blacklist files, report on them, and flag them. Starting with this release, that functionality can now be used in multi-tenant mode. Active Software Application Metering has also been modified to run in multi-tenant mode. Intelligent integration between the IT-Pedia product data library and ITMC Lifecycle catalog ensures that any manufacturer and publisher names are normalized. This further automates the process of reducing duplicates, aliases and mis-spellings that can negatively affect the usability of Catalog, Asset, Contract and Company records and reports in the system. A new button – “Assign a Product in IT-Pedia to this Catalog Item” – has been added to the Catalog Item screen to streamline the catalog enrichment process. This release introduces a new type of dashboard dashlet – the “Table” dashlet. In the Table dashlet, data is presented in tabular view, and sorting and paging is available. Cells may also be color coded to customer needs and preferences in the Table dashlet reports. A sample set of the NIST-based Software Vulnerability data has been included in ITMC Discovery reports. This enables customers to preview the details that are provided about known vulnerabilities if they do not yet license the security-focused module that contains this data. For more information on ITMC version 10.2.13, contact your Eracent representative or info@eracent.com.